The association is a voluntary, community operated registered charity. 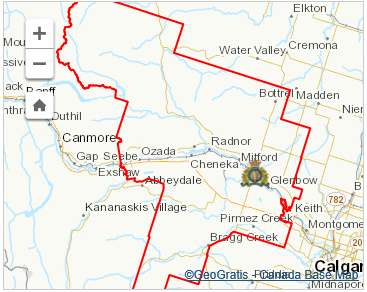 The CFPA rural crime watch group area has recently expanded to include the West Airdrie as well as Cochrane RCMP Detachment areas. For the purpose of crime prevention, members meet to organize and implement programs based on community policing principles. It is based on the observation that crime is least likely to occur in a community where people are alert to the potential for crime and willing to look out for each other and work closely with their police force. The Association strives to promote crime prevention and awareness. The Cochrane RCMP Detachment covers the areas of: Bearspaw, Benchlands, Big Hill Springs Provincial Park, Bottrel, Bragg Creek, Cheneka, Cochrane, Cochrane Lakes, Elbow Valley, Ghost Lake, Ghost Reservoir, Ghost Village, Glenblow, Jumping Pound, McLean Creek, Mitford, Morley, Ozada, Radnor, Redwood Meadows, Springbank, Waiparous and Westbrook. 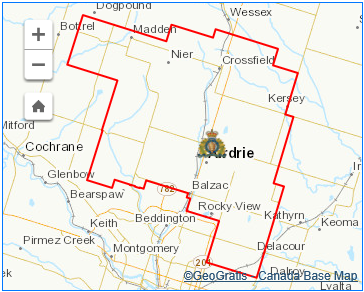 The western half of the Airdrie RCMP Detachment covers the areas of: Crossfield, Madden and Nier. In 1969, a Cochrane area rancher and other residents formed the Cochrane Foothills Protective Association. Members volunteered to accompany RCMP officers acting as guides on back roads and hard to access ranch and farmland properties. Criminal activities lessened. In 1970, Cochrane Foothills Protective Association formed an Incorporated Society under the Societies Act of Alberta. The association is a Registered Charity with bylaws providing for an elected Executive, Board of Directors and Annual General Meeting held each year. The purpose of the group is to promote crime prevention initiatives in the rural community and promote educational programs on Crime Prevention and Awareness.